WEEK #2 | BONFIRE GATHERING --- MARK YOUR CALENDAR! Mark your calendars! 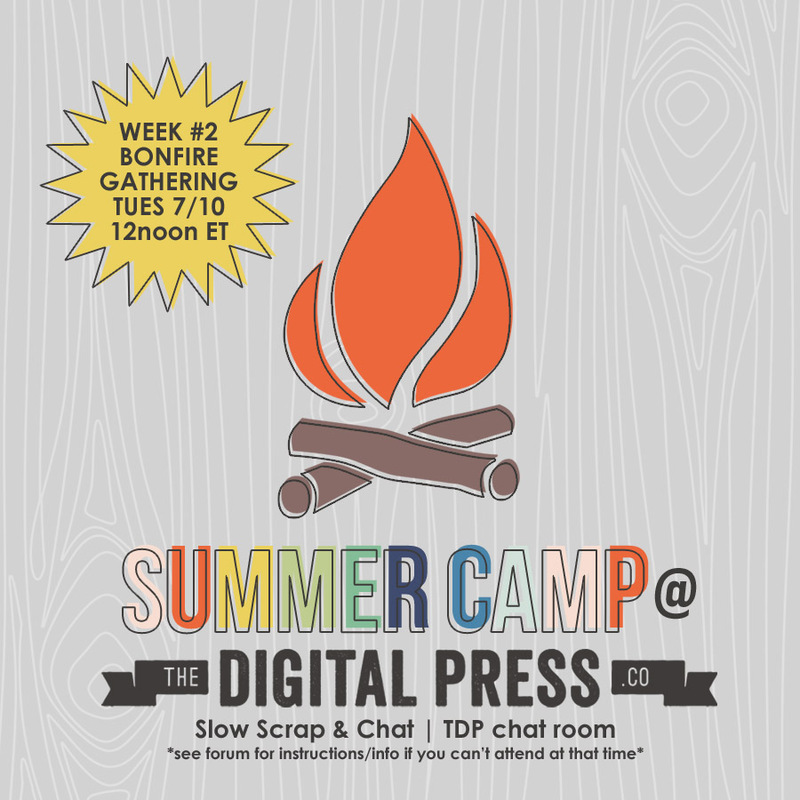 On Tuesday, July 10th at 12:00noon ET (9:00am PT), the oh-so-fabulous dawnfarias of Dawn by Design and yours truly will host the BONFIRE GATHERING for WEEK #2 of our TDP Summer Camp! We will be hosting a super awesome slow scrap for you. We'll get the party started in the chat room at 12:00noon ET, and I'm really looking forward to chatting with you all. And us European girls can join too... as it's gonna be 6:00pm for me in France, for example! No worries if you can't make it to the actual chat, itself, however... as it's a slow scrap you will have 24 hours to complete your layour.project following the instructions that will also get posted in this thread! Woohoo! Sooooo... who's gonna be there? Last edited by Laura Passage; 07-08-2018, 10:26 AM. Damn! That's 1am in Japan . Won't make it this time but will check in when I get up to see what you all have been doing! Ahhh the perks of working for myself - I think I can make it! In my book, hoping to make it! Now I am sad because I will have to be at work and will not be able to join in!! Super glad it is a slow scrap that I can do after work. That is 5pm for me in England, feeding time at the zoo so probably no scrapping for me, but I am excited to pop in and out of the chatting! I'm at work then too so I will have to join in later to complete my layout. I'm hoping to be there! The piano teacher will be here and if you've heard my dogs howl while Zach has his lessons, you know that I'd rather be here with headphones!! Yay, it's my day off. I can finally join in! Looking forward to it!! If I'm not babysitting, I'll be there for sure!! Putting it in my calendar - I'll try to be there! Boohoo! I have to work (and with the boss in town and in the room with me, I can't even multitask, and chat while I'm working). Hopefully I can still get a layout done before the deadline though! I'm planning on it! Had a lot of fun last week! I will be there unless chaos breaks out in the next two hours!